• Make a professional impact by printing rich text documents and marketing materials. This toner's gloss delivers photo-quality graphics and images. Get business-quality results on a wide range of laser papers. • Keep printing costs low while maintaining productivity. HP toner cartridges deliver consistent, uninterrupted printing. Because cartridges are designed for exceptional reliability, you avoid wasted supplies and expensive delays. 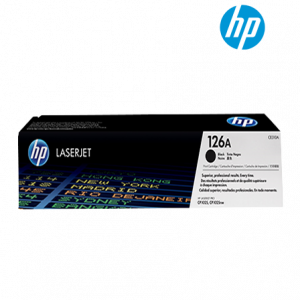 • When it's time to install a new cartridge, you can trust that HP's cartridge design makes replacement quick and easy. Recycle your old toner cartridges through HP Planet Partners. Program availability varies. HP toner cartridge return and recycling is currently available in more than 50 countries, territories and regions in Asia, Europe and North and South America through the HP Planet Partners program. For more information, visit http://www.hp.com/recycle.